Long time observers of the financial markets know that the top investment areas from last year are often become laggards the next year, and vice versa. This year is no exception. Last year’s market leaders, which include social media, biotechnology and solar energy stocks are struggling to gain momentum, while new investment opportunities are emerging in unexpected ways. 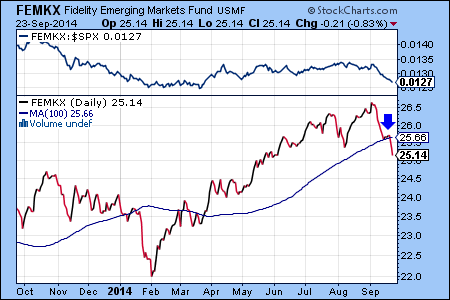 One of our favorites is the newly emerging bullish trend in Latin American equity markets. Economic and social challenges are highly publicized for countries in the region. 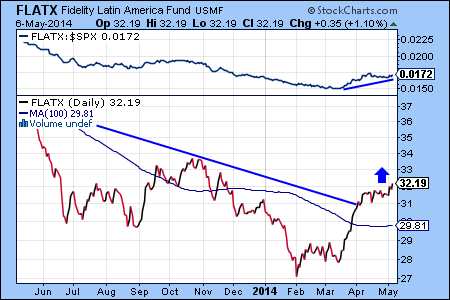 However, the chart pattern for the Fidelity Latin America Fund (FLATX) is turning bullish. 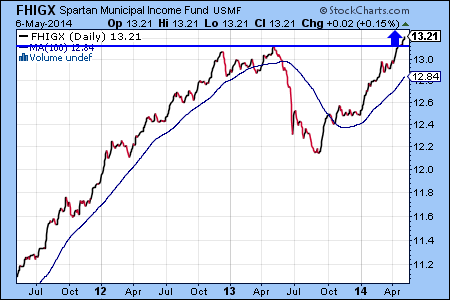 Markets can anticipate changes in underlying economic conditions 6 to 12 months into the future. 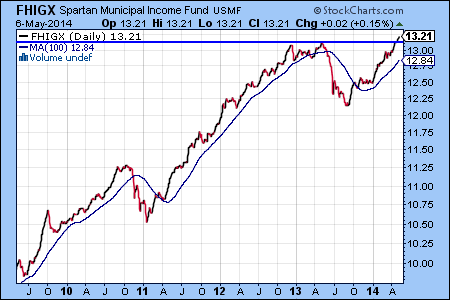 If this is the case for Latin American stock markets, then this may be a perfect time to take initial positions. The Fidelity Latin America Fund (FLATX) is one of the best mutual funds available for investing in Central and South America, but due to the weakness of the equity markets in the region, FLATX has been also one of the weakest-performing Fidelity funds in the last two years. On the other hand, here is the good news: investments that under perform for a prolonged time often become top performers in the next market cycle. So, is it time to start accumulating positions in FLATX? We think that it is too early. The top panel on the chart shows that the relative strength compared to the S&P500 index is still negative and the blue trend line in the bottom panel shows that the downtrend is still intact. Renewed worries about the slowing Chinese economy caused the sell off of equity markets around the globe today. 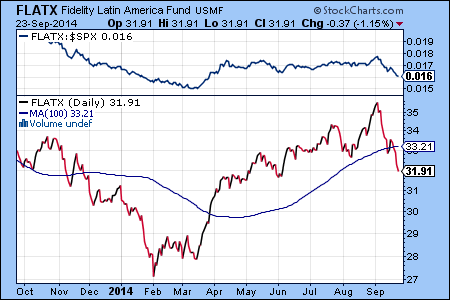 The rapid devaluation of the Argentine currency had a negative impact on Latin American markets resulting in the Fidelity Latin America Fund (FLATX) being the worst performer of all Fidelity funds. 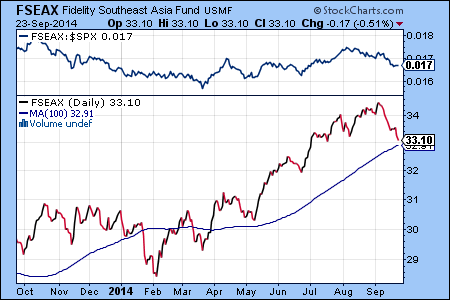 The sell off spread to Asia, as well, resulting in the Fidelity Southeast Asia Fund (FSEAX) entering a bearish downtrend. 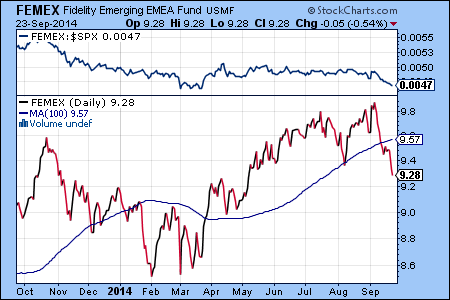 The weakest U.S. equity fund today was the Fidelity Select Energy Services Fund (FSESX). The Fidelity Latin America Fund (FLATX, last change: -2.63%) has dropped more than 19% since its February peak and is now oversold. An oversold condition occurs when the value of an investment drops too far too fast, and it is usually followed by a rebound, which is also referred to as the snap back rally. The significance of FLATX rallying from this oversold point would be that a new support level can be established, which can lead to the consolidation of the price.